Today Oldest Olympians brings you the second and final part of our list of bronze medalists who would be over the age of 90, but for whom we had no information on whether or not they are alive. We are now taking a quick look at the 13 individuals who earned their laurels after the 1948 Games. It took Antonio Cosentino, born March 10, 1919, three editions of the Games and three different sailing classes before he finally won an Olympic medal. After coming in eighth in the 6 metre class in 1952, and seventh in the 5.5 metre class in 1956, he took bronze in the Dragon class in 1960. Three years later, he won a gold medal in the Star class at the 1963 Mediterranean Games, so we are not certain why we have been unable to find any definitive information on his fate. It is possible, as has been the case with several other of Italy’s oldest Olympians, that he is still alive and simply keeping a low profile, but we are unable to confirm his status one way or another. We know very little about Ronald Backus, born March 28, 1922, other than the fact that he was on the bronze medal-winning team in Dragon-class sailing at the 1956 Summer Olympics. We could not even find a picture of him to help illustrate this entry. Other than the evidence suggesting that this was his only major international podium finish, we are not certain why we cannot uncover more. We hate to be too repetitive, but Roger Midgley, born November 23, 1924, is another medalist for whom we have very limited information, not even a picture. We do know that he served in the Royal Navy during World War II, and then won a field hockey medal for Great Britain at the 1952 Summer Olympics, but after that the trail goes cold. While it might be tempting to attribute this case to the obscurity of individual members in a team sport, we have information on all of his teammates, so we are not sure why and how Midgley slipped through the cracks. Earlier this year, an anonymous source claimed on Wikipedia that he was still alive, but were unable to verify this. Willy Fitting, born January 25, 1925, is the only member of the épée team that won bronze for Switzerland at the 1952 Summer Olympics for whom we do not have information on their life after the Games. The reality that Switzerland tends to be a difficult country from which to get information, combined with the fact that he is the nephew of three other Olympic fencers, leads us to believe that he is still alive, and that we simply cannot confirm it. The same anonymous source that listed Midgley as alive also made that claim for Fitting but, again, we are unable to verify this. 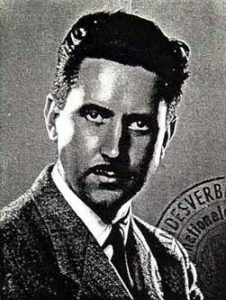 While our information from Germany is usually very good, Heinz Radzikowski, born September 7, 1925, is one of the exceptions. 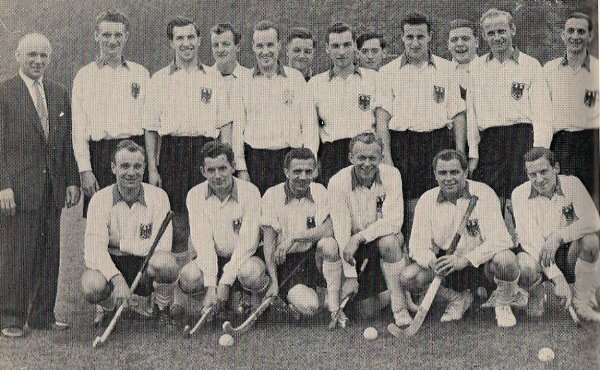 He had nine international field hockey caps, including his appearance at the 1956 Summer Olympics, where he helped his country win a bronze medal. 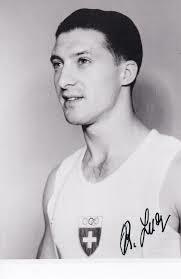 Domestically, he played for SC Brandenburg, the 1956 West German national champions. After his international career ended in 1958, however, we have been unable to confirm what happened to him. Daniel Dagallier, born June 11, 1926, was a distinguished épée fencer for France. In addition to his team bronze medal from the 1956 Summer Olympics, he won a total of five team medals – one gold and two each of silver and bronze – in the event at the World Championships between 1951 and 1958 and also took gold at the 1955 Mediterranean Games. We suspect, therefore, that he is still alive, as his death would have likely attracted widespread attention, but we are unable to confirm this. 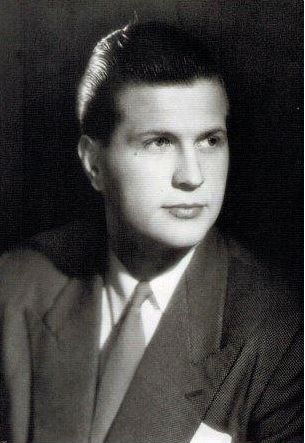 A combination of the difficulty in obtaining information about Swiss Olympians, as well as his common name, is the most likely explanation for why were unable to find much information on Pierre Girard, born August 2, 1926. As is the case with many sailors, all we know are his Olympic results, as he won bronze in the 5.5 metre event at the 1960 Summer Olympics. Other than that, we could find neither additional information nor a picture of him for this blog entry. 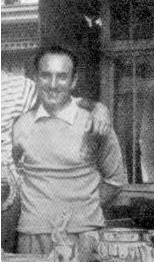 In the case of Enzo Polito, born October 29, 1926, we believe that the combination of his common name and the fact that he was a lesser-known member in a team sport has led to a gap in our records. 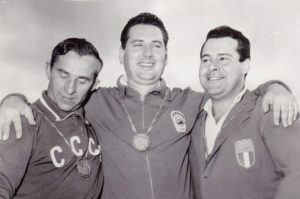 Polito won a bronze medal for Italy in water polo at the 1952 Summer Olympics, and later helped his country win another bronze medal at the 1954 European Championships. Aside from this, we have no additional information about – or a picture for – this athlete. We are fairly certain that the only thing preventing us from confirming that Sergey Kalinin, born December 23, 1926, is still alive is the language barrier. Kalinin was a well-known figure in Russia, having taken not only bronze in trap shooting at the 1960 Summer Olympics, but gold in the trap team events at the 1958 and 1962 World Championships as well. He was still doing interviews in the early 2000s and no sources suggest that he has died, so we hope to confirm that he is still alive in the near future. 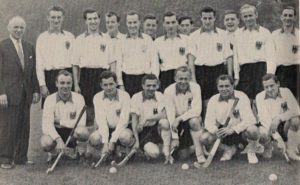 A teammate of Heinz Radzikowski, Günther Brennecke, born January 13, 1927, helped a unified German team win bronze in field hockey at the 1956 Summer Olympics. Among his 46 international appearances, which included play at the 1952 Games, he also won an unofficial European Championship in 1954. As with Sergey Kalinin, there seems to be suggestions that Brennecke is still alive, and the only thing preventing us from confirming this is the language barrier. Dries Nieman (whose surname is sometimes seen as Niemann), born September 11, 1927, is an interesting case. After winning a bronze medal for South Africa at the 1952 Summer Olympics, he turned professional and had a fairly successful, if uneventful, career over the next four years, winning eight bouts and losing two, including one for the South African heavyweight title. Several websites list him as having died on August 13, 2009, but that date of death belongs to a man who was born on August 12, 1927, so we cannot confirm that this information is correct and thus continue to list him as being possibly alive. 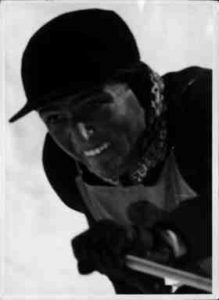 Herbert Wiedermann, born November 1, 1927, had a distinguished canoeing career for Austria alongside one of our oldest Olympians, Max Raub. 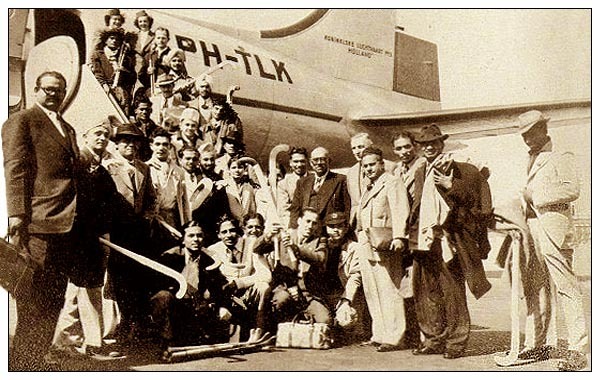 Together they took bronze in the K-2 1000 at the 1952 and 1956 Summer Olympics, came fourth in the K-2 10000 in 1952, and won four medals, including one gold, at the 1950 and 1954 World Championships. 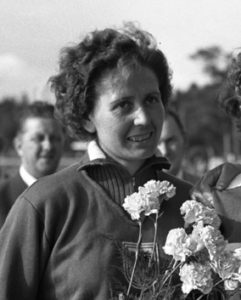 Widermann also competed without Raub in two other events at the 1960 Summer Olympics. Despite these accomplishments, we were unable to locate a picture of him, let alone any further information on his fate after the Games. We do know, however, that his Olympian wife Helga Hellebrand died in 2013, although the obituary did not mention whether she was survived by her husband. 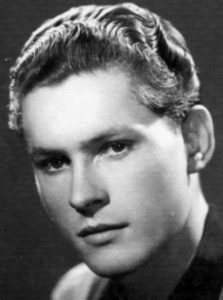 The final entry on our list, Roland Bezamat, born May 26, 1928, did not complete the road race at the 1952 Summer Olympics but, because each nation was allowed one non-scoring member, he was still able to share in France’s bronze medal victory when the team scores were tallied. It is perhaps for this reason, combined with his relatively short cycling career that lasted from 1951 through 1955, that we have been unable to ascertain his current status. It should also be noted that several websites list his year of birth as 1924. And there it is: 41 gold, silver, and bronze medalists born between 1912 and 1928 for whom we cannot determine something as simple as whether they are alive or deceased. 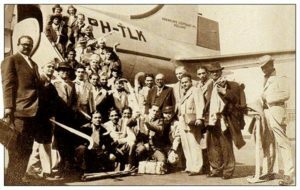 They represent only a tiny fraction of all those Olympians who have slipped through the historical cracks and who highlight why it is important to do what we can to preserve the sporting legacies of our oldest – and indeed all – Olympians, lest they become forever lost to the sands of time. As new entries to this list come up, we will be certain to feature them on Oldest Olympians. Until then, even breaking this topic up into three sections made for some lengthy posts, so next week and beyond we are going to try and focus on smaller groups of athletes. Continuing with our theme of Olympic Mysteries, we are going to begin looking into Olympians for whom we believe to have identified their date of death, but for whatever reason we are unable to connect the information, such as obituary or public record, conclusively to the athlete. In other words, we will be sharing a little bit of our research publicly, partially in the hopes that some reader may have the missing evidence to connect the dots, but primarily, as usual, for the sake of transparency and sharing our methodology so that readers can understand what goes into consideration when we make declarations about the oldest living Olympians. As always, we hope you will join us!